British carmaker Aston Martin has sent the upcoming 2017 Vantage for some new testing on the roads, the test mule also popping-up in a new spy video while revving its powerful V8 engine. The prototype spotted here is still wearing plenty of camouflage, which is a clear indication that it is far away from its final release at the beginning of 2017. Once arriving on the market, it will become the direct competitor of the new Porsche 911, being set with price tags between $150,000 – $250,000. 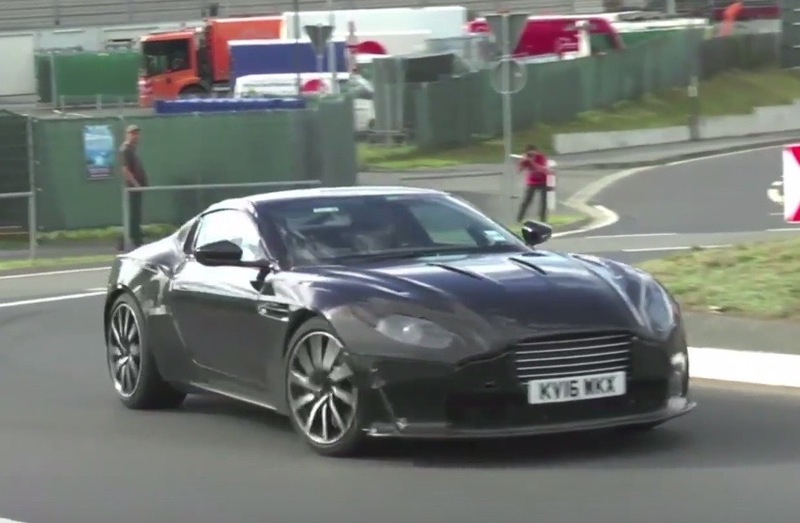 Judging from the spy video released by autoevolution, the all-new 2017 Aston Martin Vantage is wearing heavy camouflage, indicating plenty of new styling bits, mostly borrowed from the new DB11. We are looking here at a modified C-pillar and smaller front end spoiler, adding a more rounded rear end, smaller headlights and taillights, wider and thinner front grille, and other aggressive styling cues. However, the car`s main highlight will be the new powertrain under the hood, the 2017 Aston Martin Vantage packing a new V8 mill from Mercedes AMG, which will closely follow the DB11`s AMG V12. The new mill will replace the present 4.7-liter naturally aspirated V8 engine. We are dealing with a new 4.0-liter V8 engine with a twin-turbo configuration. We don’t have the official performance figures, but according to the same auto publication, we might be looking here at a range between 350 kW – 430 kW. You can also judge the kind of power it will come with by watching the spy video below, with the test mule revving its powerful V8 engine. Enjoy and don’t forget to share your opinions with us!